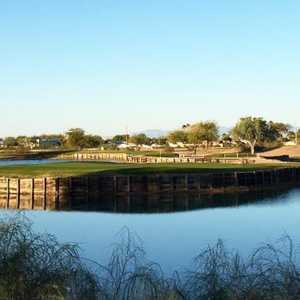 Apache Creek Golf Club has a classic desert layout that has become a favorite among golfers all over the Valley. It's popular not only for the player-friendly design but also because it's one of the area's best values. The wide-open layout offers sweeping vistas without a home in sight. 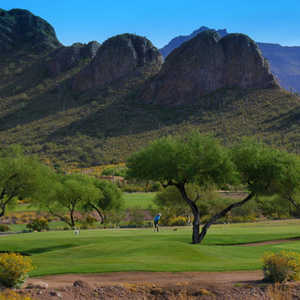 Superstition Mountain Golf & Country Club is a residential community set at the base of Superstition Mountain east of Phoenix. Opened in 1999, Lost Gold was designed by Jack Nicklaus and his son, Jack Jr. and is a links-style, desert golf course. Set at the eastern edge of the Phoenix metropolitan area, Superstition Mountain Golf & Country Club features two Nicklaus-designed 18-hole courses. The Prospector golf course was designed by Jack Nicklaus and his son, Gary, and opened in 1998. 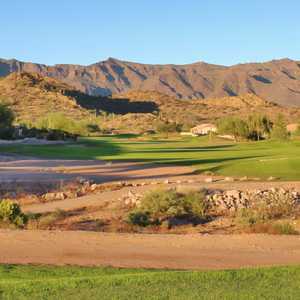 The 9-hole Roadhaven Golf Course in Apache Junction, Arizona is a private golf course that opened in 1984. Designed by Greg Nash, Roadhaven Golf Course measures 1700 yards from the longest tees and has a slope rating of 62 and a USGA rating. The course features 2 sets of tees for different skill levels.